Harold Birston studied cello with Julie Banton and piano with Ruth Moir in his native Winnipeg. He continued his cello studies with Claude Kenneson at the University of Alberta, and graduated with a degree in cello performance from the University of British Columbia, where he was a student of Eric Wilson. Harold is an active freelance musician, and has performed on numerous occasions as an extra cellist with the Vancouver Symphony Orchestra. 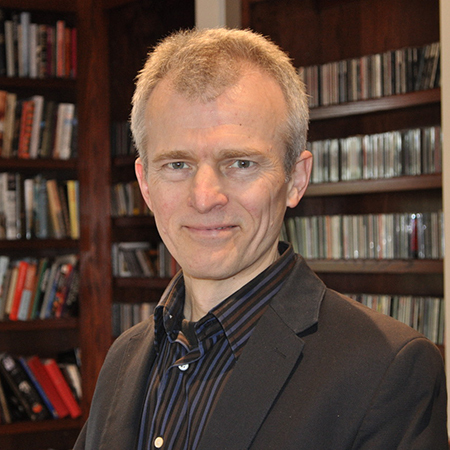 He has been a member of the Vancouver Opera Orchestra since 1992. Harold was the cellist in the Vancouver based jazz string quartet, Babayaga, for twenty years, and enjoyed numerous collaborations as a composer / arranger / performer with great Vancouver musicians, including pianist Miles Black and bassist Jodi Proznick, as well as the celebrated American jazz vocalist, Sheila Jordan. Much of Harold’s career has been dedicated to teaching, using Suzuki and traditional methods, and he has maintained a large class of cello students in White Rock for over twenty-five years. Many of his students have gone on to pursue musical studies in university, and some have ventured outside the world of classical music to incorporate dance, jazz, and singing-songwriting into their cello performances. Harold is a co-founder, along with his wife, violinist and teacher Carla Birston, of the Semiahmoo Strings, a youth orchestra which has been a joy for the participants and audiences alike since 1988. Harold is also a prolific composer and arranger of educational music. His Excursionsbooks are designed to introduce string students to the joys of learning to read music through compositions that cover a wide spectrum of musical styles, from waltzes and gavottes, to blues and bossa novas. Many of his compositions and arrangements will be appearing in the new Royal Conservatory violin, viola, cello, and wind instrument series.